In brief: Amazon's attempts to compete with brick-and-mortar retailers like Walmart are continuing. The company is opening its second "4-star" store on Thursday near Denver, Colorado. 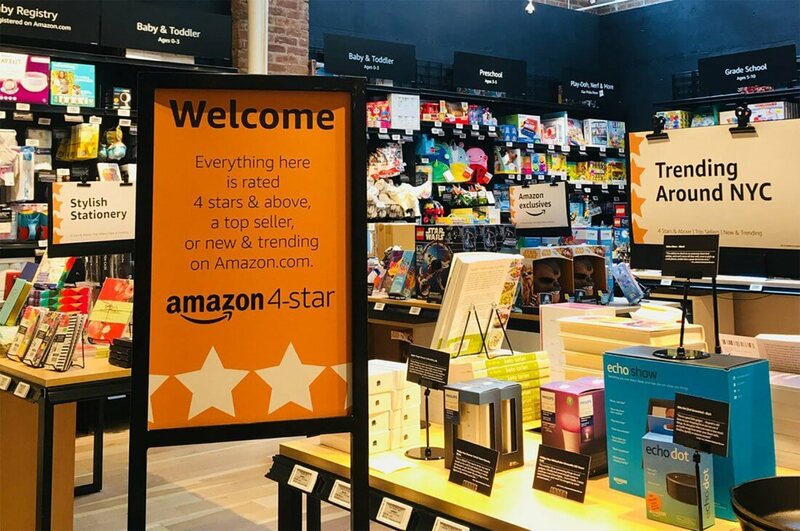 As the name implies, the store will stock only the highest-rated products in Amazon's catalogue, and unlike the company's Go stores, the 4-Star Store will be staffed by human cashiers. Many tech enthusiasts have long felt that the death of brick-and-mortar retail stores is just around the corner. However, as digital shopping giants like Amazon begin to expand into the real world with shops like the cashier-free Go store, that belief is starting to look increasingly flawed. Instead of death, maybe the industry is due for a transformation. If the rapid rollout of additional Go stores is anything to go by, Amazon certainly seems to think so. However, the company doesn't want to limit itself to purely automated physical shopping experiences. Recognizing that a personal touch still has value, the tech giant decided to launch its first human-staffed "Amazon 4-star" store back in September. As the name implies, the store stocked only some of Amazon's highest-rated products, ranging from toys and books to games and even kitchen gadgets. Apparently, the concept proved popular, because Amazon is opening another 4-star store near Denver next Thursday. For reference, the first store opened up in New York, so it appears that Amazon is targeting bigger cities for its first few locations. It's not hard to see why the concept of a 4-star store is capturing Amazon's interest. Product and content curation have always been at the forefront of the company's online endeavors, so why wouldn't it apply that business tactic to brick-and-mortar shops as well? At any rate, if you happen to live in Denver and want to stop by the new 4-star store, Cnet says it can be found at the Park Meadows mall in Lone Tree, Colorado, which is just south of Denver.